You have to wonder what the point is of the tourist office in Pithiviers. After 10 minutes’ browsing the leaflets for various châteaux, parks and gardens I was none the wiser about the two things for which Pithiviers is most famous. The first is its eponymous cake, an indulgent confection of buttery puff pastry with an almond filling, and the second is its notorious second world war transit camp where French Jews were rounded up and detained before being sent on to Auschwitz. We were spending the easter holidays in France based in and around Paris and Fontainebleau. 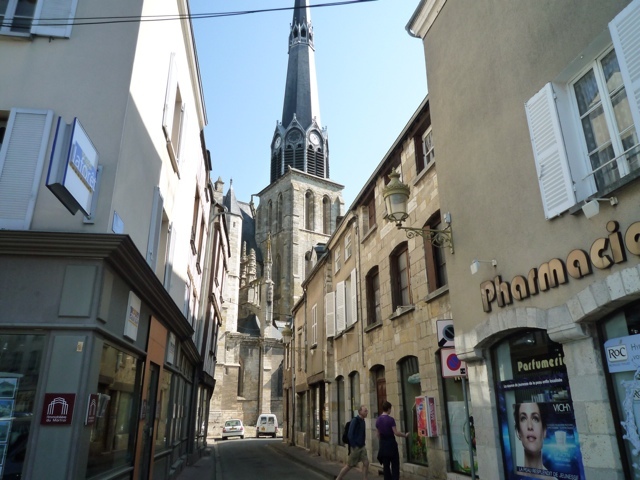 On a sunny Monday morning we decided over breakfast to head off to Pithiviers, a typical French market town some 50 miles South of Paris. 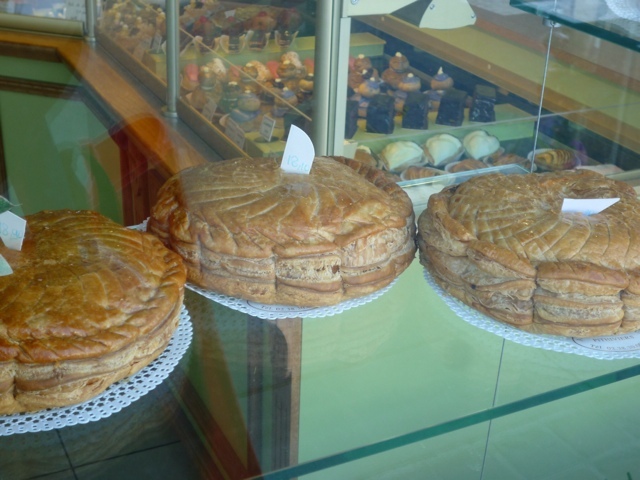 A: a rather frivolous excursion to try and track down a genuine Pithiviers pastry. The less frivolous outcome was that we learned a little about an unedifying episode in French history, one that the tourist office was keen to airbrush away. I’d read about the French internment camps before, specifically Drancy on the outskirts of Paris. This was not in a history book but in Sebastian Faulks’ moving wartime novel “Charlotte Gray”. It was another novelist, Irène Némirovsky, the author of the sensational “Suite Française” who’s partly responsible for putting Pithiviers on the map, for all the wrong reasons. Némirovsky was interned here before being sent to Auschwitz where she died in 1942 leaving her epic novel unfinished, its manuscript undiscovered until some 60 years later. Back to the original purpose of our visit. The Pithiviers has a special place in our family history as I ate a stunning chocolate Pithiviers at London’s Bibendum restaurant the night before our eldest son George was born. It features in chef proprietor Simon Hopkinson’s book “Roast Chicken and Other Stories” if you fancy making one at home. Finding a Pithiviers proved surprisingly easy. 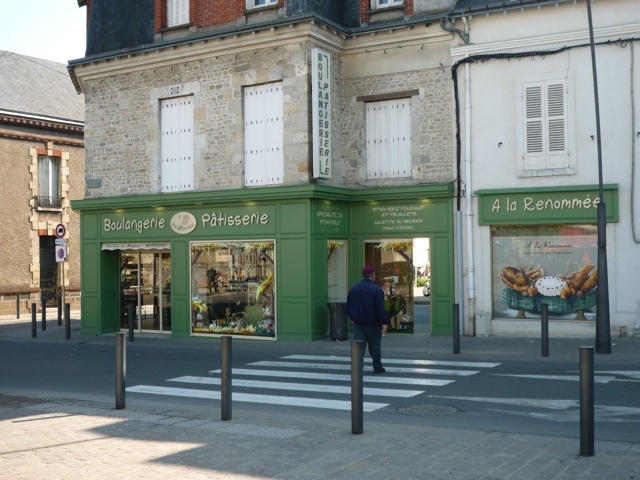 Having found a parking space in a sunny square (the Mail Ouest) in the centre, we found ourselves just across the road from an inviting-looking pâtisserie, “À la Renommée” (the Renowned). Of course, we had to buy both, the fondant version to enjoy there and then with a cup of coffee and the feuilleté version later after our evening meal. The origins of puff pastry in France are generally dated back to the 17th century so the more familiar Pithiviers feuilleté is a relatively recent upstart. We followed the bakery instructions to warm it through gently for 15-20 minutes before serving. It needs no accompaniment (other than a strong cup of coffee). The puff pastry layers were featherlight, belying the huge quantities of butter that went into its manufacture, and the almond cream filling rich and sweet. It reminded me just a little of its more rustic cousin the English Bakewell pudding – the real dense almondy version you find in the Peak District town rather than the more usual tart I mentioned earlier. Maybe Pithiviers and Bakewell should be twinned? 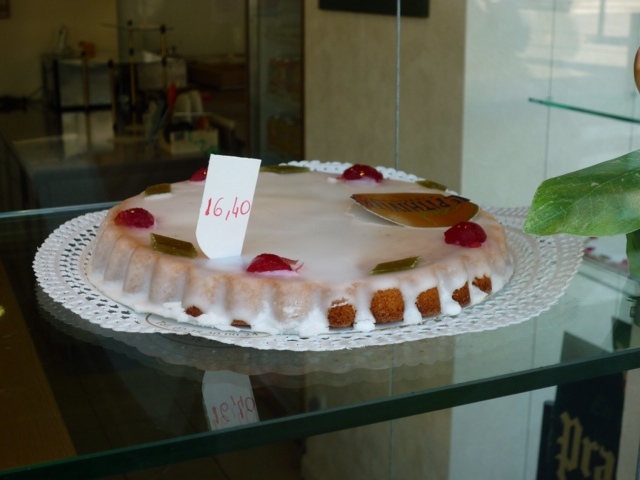 From the recipe section of the website http://www.loiret.logishotels.com with quantities halved to make a more manageable sized cake. Mix the sugar with the finely chopped almonds and beat in the softened butter. Incorporate the eggs gradually and the rum. Spoon into a greased and floured Pain de Gênes mould (a deep fluted flan tin – use an ordinary round cale tin not a shallow flan tin as a substitute) and baked in a moderate oven (180 degrees C fan) for 30 to 35 minutes. When cool, ice with white fondant icing and decorate with glacé cherries and Angelica. I’ve always just got creative with a small sharp knife. There’s a great video on Youtube which is French pâtissier Arnaud Delmontel making a Galette des Rois which is very similar to a Pithiviers. He has a very nice fluid action with a knife when marking the curves on the galette. Good luck! You are currently reading In search of the real Pithiviers at The Rhubarb Fool.